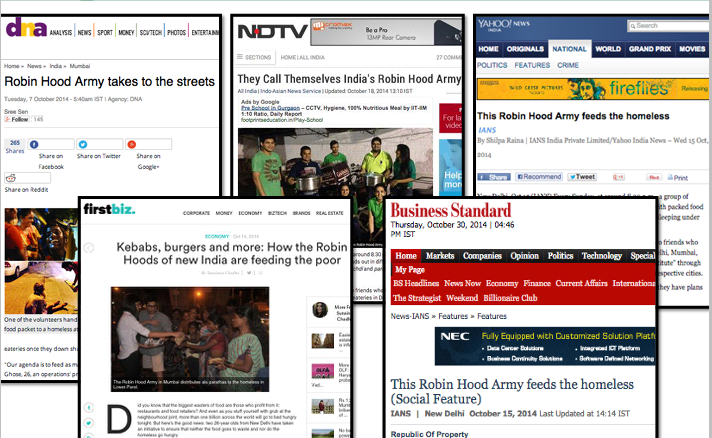 Robin Hood Army started June 2014 from Delhi with mission to provide restaurants surplus food to less fortunate people of our society. Now they are in more then 15 cities in India as well as few cities in Pakistan. This activity they do every Sunday with aim to make it daily affairs. Why restaurants surplus food ? Every year india loss Rs 58000 crore in food wastages. Food wastage comprises 2-3% of the sales of most restaurants. More then 30000 restaurants in the tier 1 cities of india feed there surplus food to garbage dump. Robin Hood Army delhi got foods from restaurants like sanjha chulha , kebab xpress, midnight munchies , au bon pain. Restaurants with charity they get thanks on Robin Hood army social media platform which is been growing thick and fast. 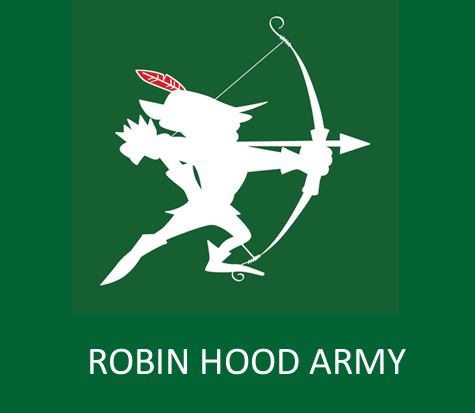 Requested to the restaurants of kolkata to help Robin Hood army in this Nobel cause with there surplus foods. RHA is doing stunning work. With everyone's effort, hunger can be easily driven out of doors.